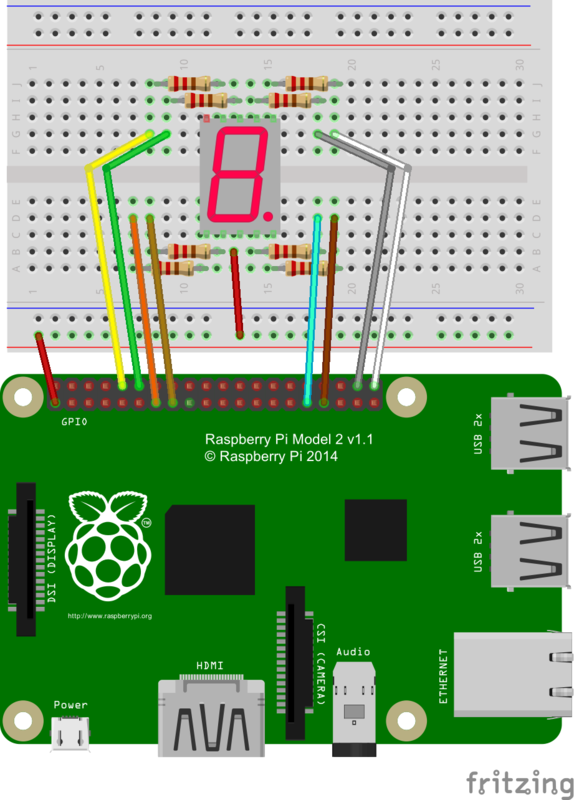 I've been working on an update to gpiozero to add a 7 segment display - hopefully this will make it into gpiozero soon, but until then if you want to use a 7 segment display with your Raspberry Pi you can follow the details below. Update - I have updated this to support single and multiple digit 7 segment displays. 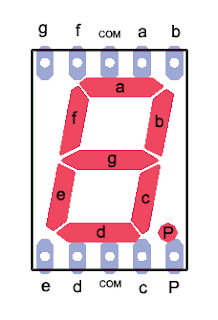 The seven segment display will have 7 pins to connect the digit's LEDs, 1 pin to connect the decimal point LED and 1 pin which is the common pin. 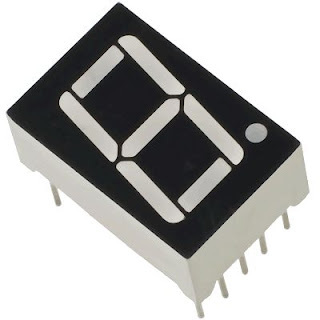 The LED pins should connect to 8 GPIO pins depending on whether your 7 segment display is a common-anode or a common-cathode the common pin should connect to either a 3.3v pin or the ground. Your also going to need a suitable resistor (probably a 330) between your GPIO and LED pins. Create a new program and add the following to the top of the your program (this is the class which will allow you to control the display). using a common anode display 'active_high' should be set to False. 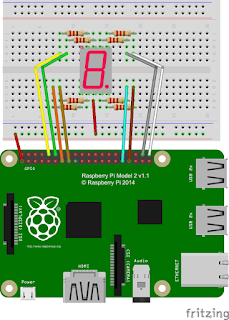 Specify the GPIO pins that the 7 segment display is attached to. parameter can only be specified as a keyword parameter. specified as a keyword parameter. Create an instance on the 7 segment display object, you need to pass the pins in the order, A,B,C,D,E,F,G,Decimal Point. You can show a character on the display using the .display() method. You can add your own characters to the display, using the .set_char_layout() method passing the character and a tuple of 7 booleans for each of the LEDs in order A,B,C,D,E,F,G. You can turn the decimal point on by setting the .decimal_point property. What do you mean? 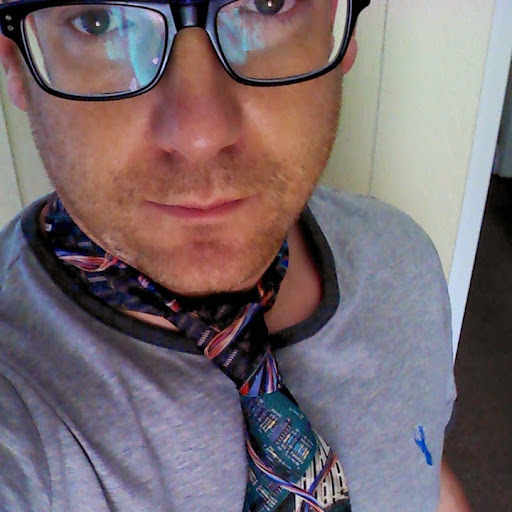 The full code is above. The right side of the code is clipped off by advertisement.